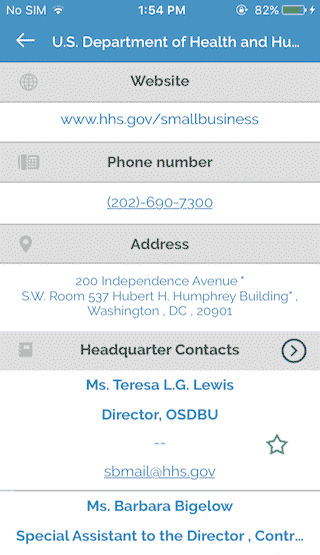 My GovConnect is an ideal mobile solution for those desiring to enter or increase their footprint in the Federal Government marketplace. 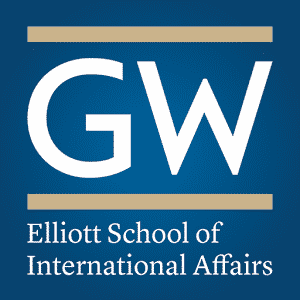 The Federal government has a multitude of Defense, Civilian and Intelligence, Departments and Agencies that purchase more than $400 billion in products and services every year. Federal agencies are tasked to achieve Small Business set-aside goals. My GovConnect provides the contact information you need to make the right connections. 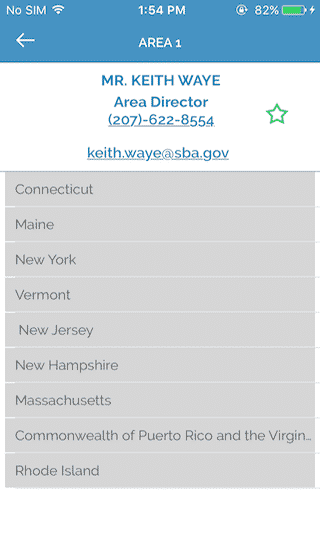 This app list the Offices of Small Disadvantaged Business Utilization, OSDBU’s officers who help Small Businesses market to the government and the Small Business Administration’s Procurement Center Representatives, PCR Managers, who among other duties assist small business with contracting or payment issues. 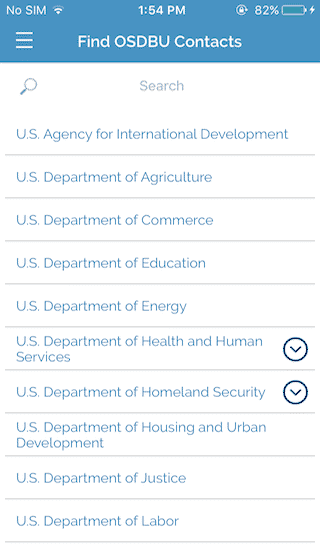 You can see the list of all government departments and related agencies. 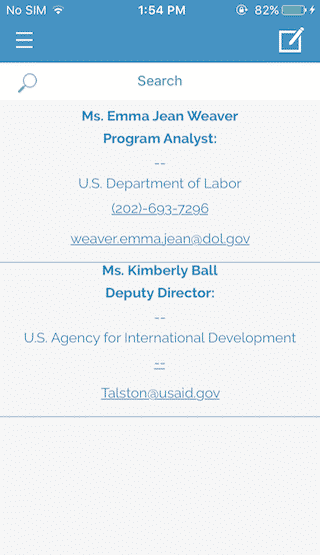 You can see the list of OSDBU contacts at each agency. You can find the email address and phone no of small business specialist. You can add the contacts to your favorite list. 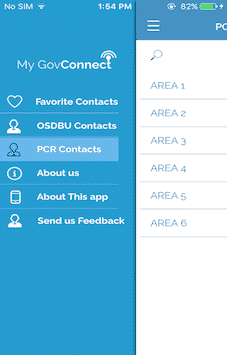 You can find the list of PCR contacts from SBA based upon the Area Zone. You can search all contacts and agencies in the App. 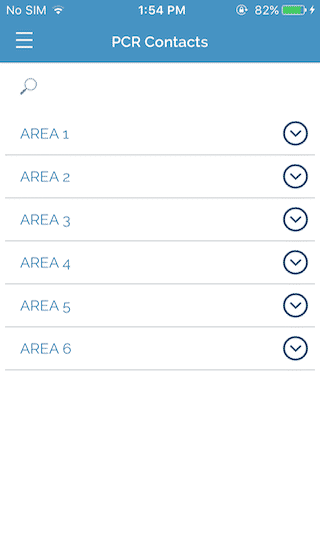 Our challenge was to capture agencies list and contacts from various sources and make them available in the mobile app. Our team captured data manually from various government sites, filtered it and made it available in the app. The other challenge was to continuously update the Agencies contacts since they keep on changing over the period of time. To meet this challenge, we created a cloud based backend system and saved all the contact and data in the backend. All contacts can be edited anytime in the backend and they will be instantaneously updated in the mobile app. My GovConnect has List of all Government Departments, Contact and Agency Searching, List of all PCR Contact Displaying Capabilities.